One of the strengths of our company is flexibility. 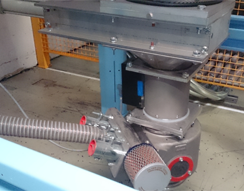 Our system can be adapted to any type of production line and at any stage: under the hopper, under the dryer or at the bottom of the line, before the output of the worked material. 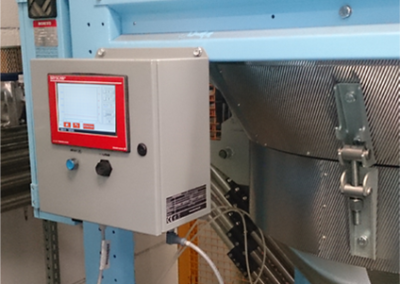 Many of our customers have chosen to install more than one sensor on the same machine to better monitor the moisture content in the different processing phases. The sensor, made up of a cylindrical section, is perfect for any system that provides a flow of material and applies with simple flange adapters, depending on the size. 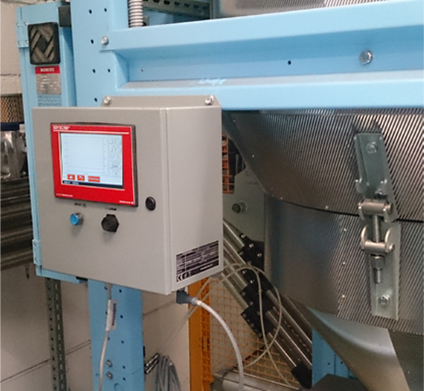 The system adapts to any type of polymer being processed: you simply need to change the parameters in the control box, that are related to the recipes, already saved in the software.